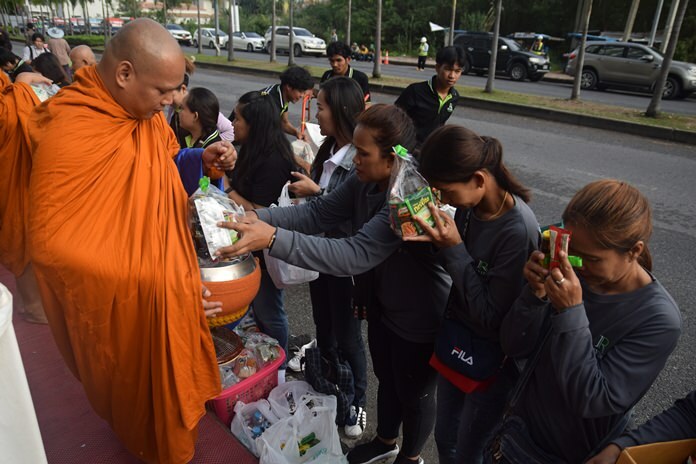 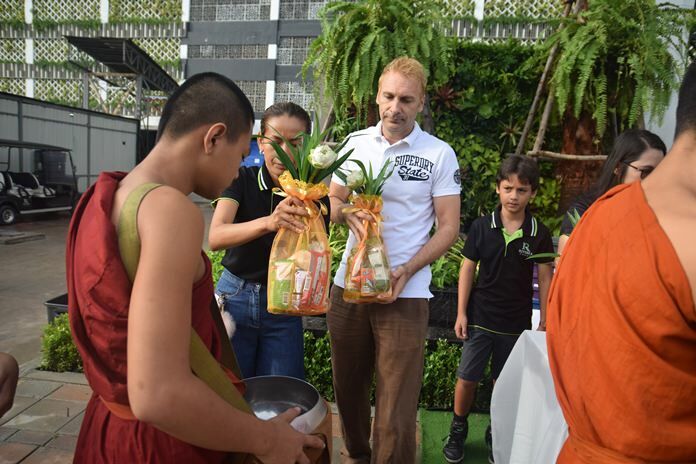 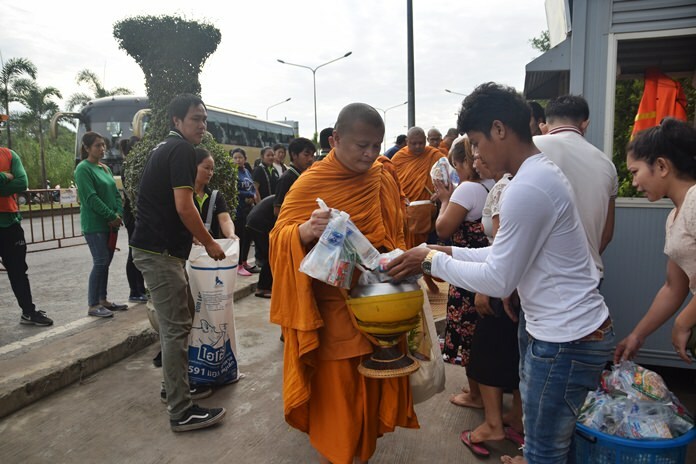 The Gale family make offerings of rice and dried foods to Buddhist monks. 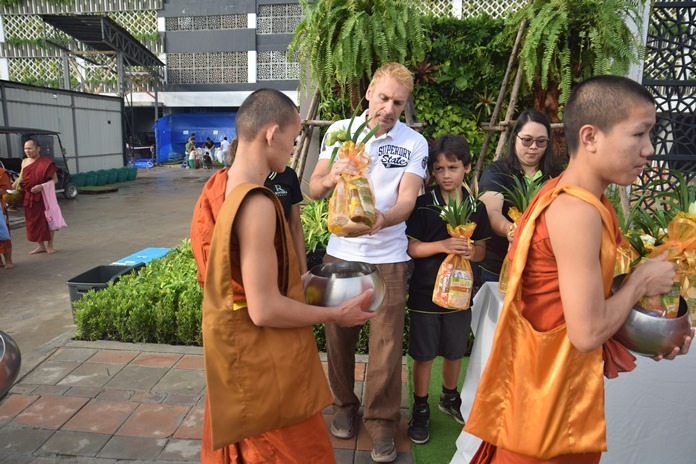 Winston and Sukanya Gale, owners of the Riviera Group, held a merit making ceremony on Saturday 8 December to thank staff and supporters for their loyalty and hard work throughout the years and to wish them a Happy and Prosperous New Year 2019. 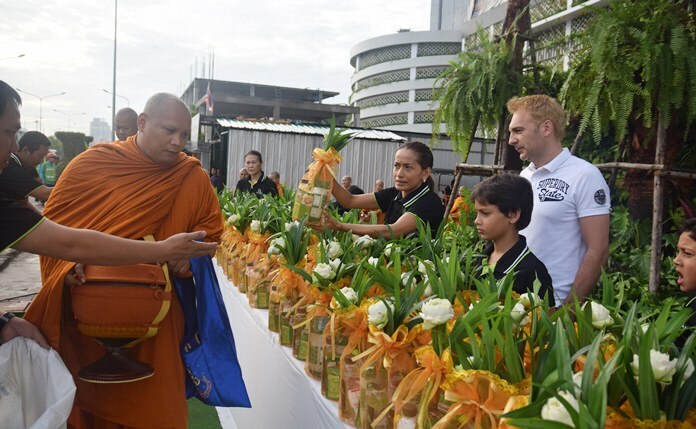 Sukanya Gale pays her respects to the presiding chief abbot. 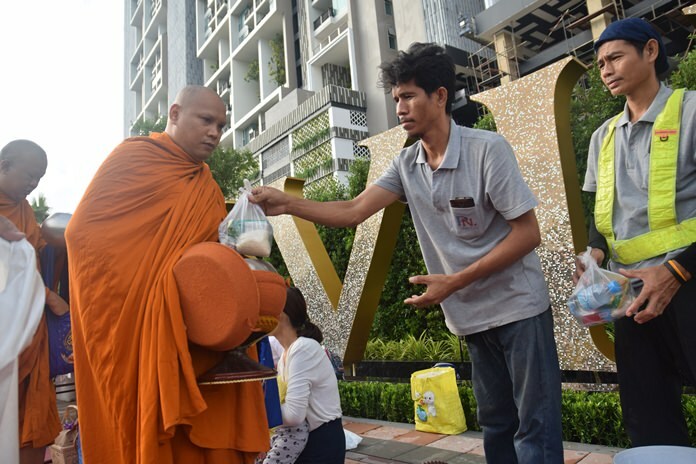 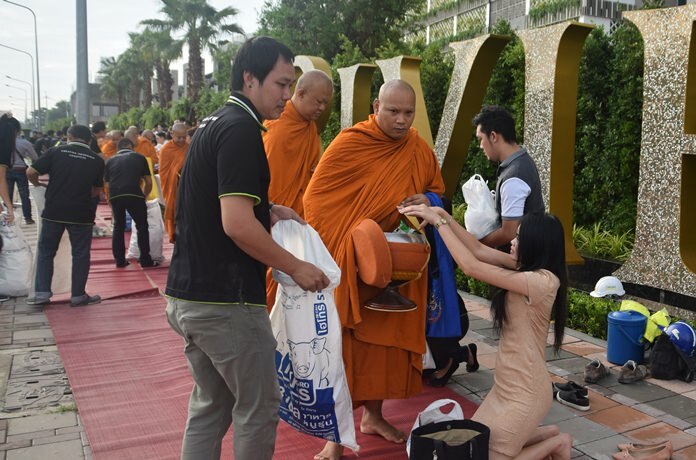 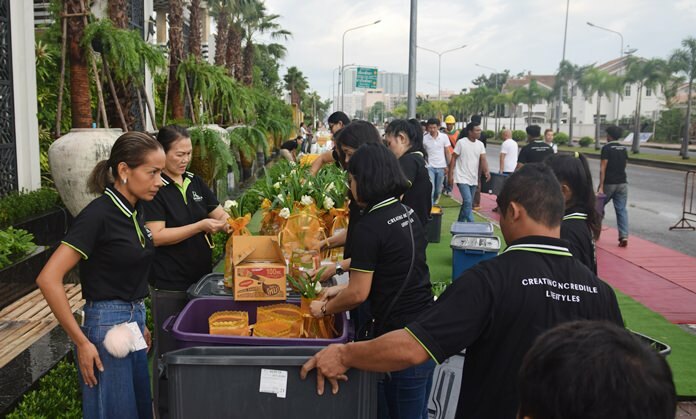 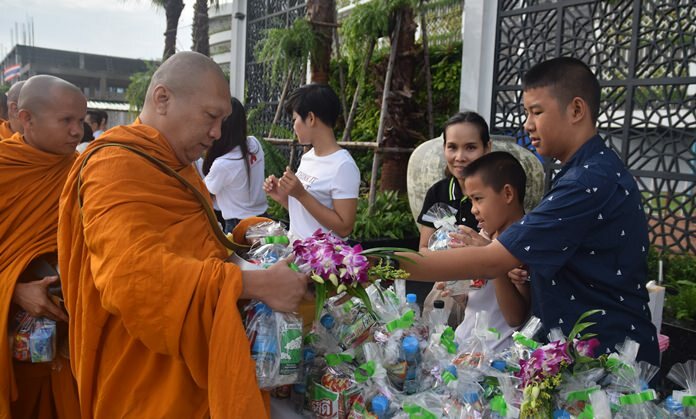 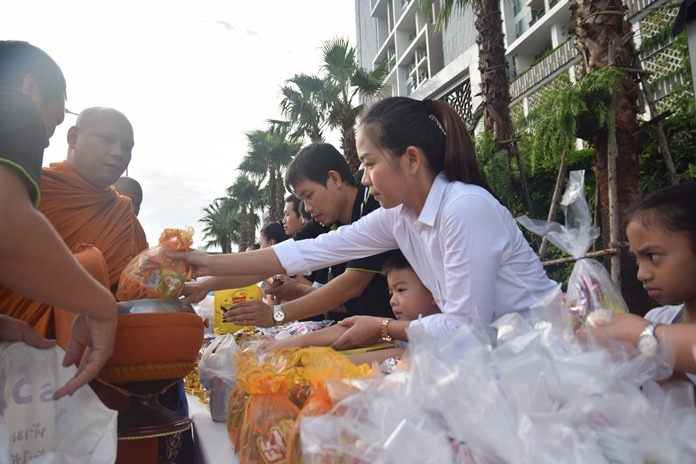 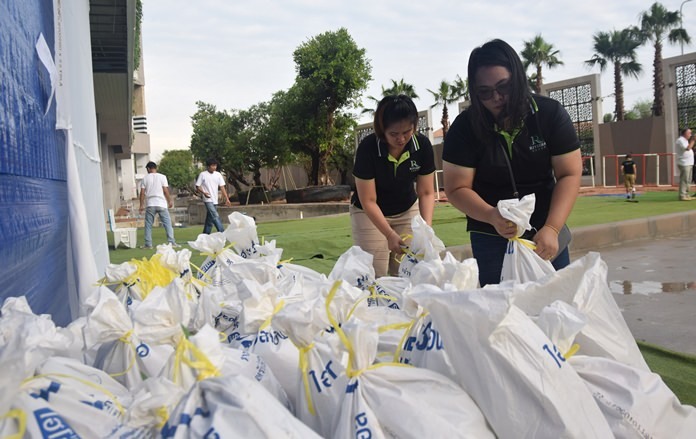 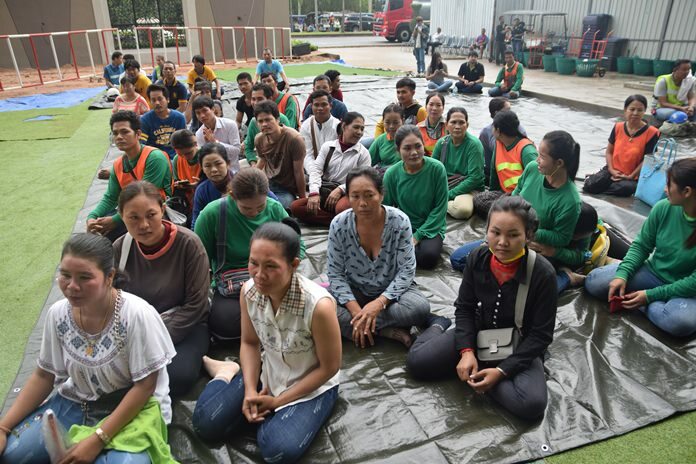 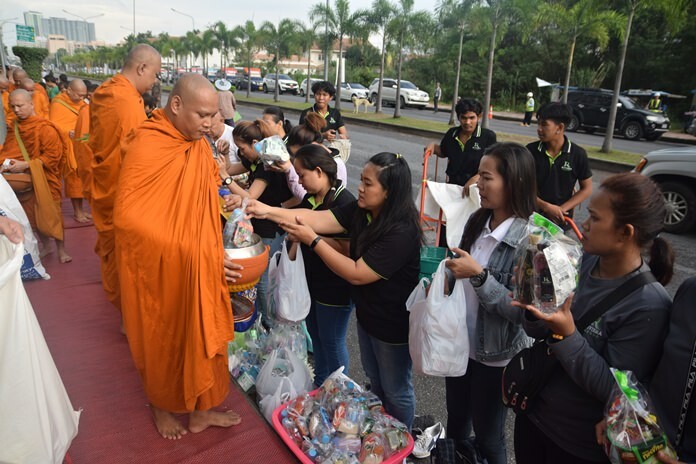 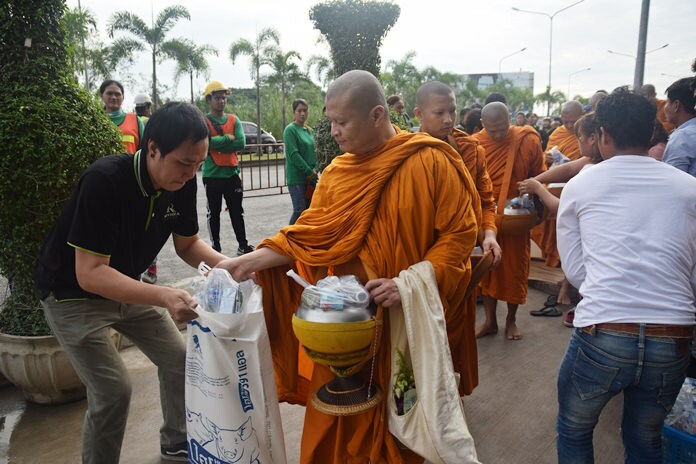 The ceremonies began at dawn when Winston and Sukanya together with Sethapun Boonsawat, advisor to the Mayor of Pattaya, led hundreds of staff, construction workers, families and friends, including guests and business colleagues to the front of the majestic Riviera Jomtien project on Jomtien 2nd Road to give alms of rice and dry foods to 99 saffron robed Buddhist monks. 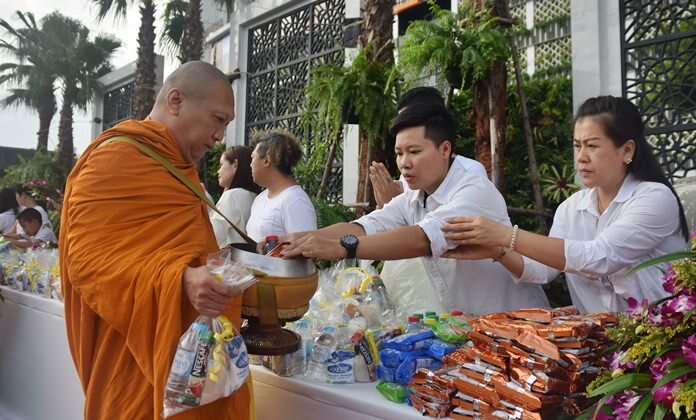 Revered monks who graced the religious ceremonies included chief abbots from Wat Chaimongkol, Wat Photisampan and Wat Jittapawan. 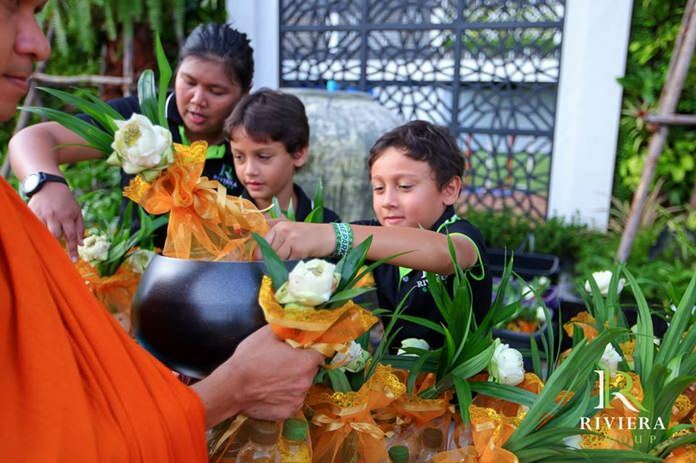 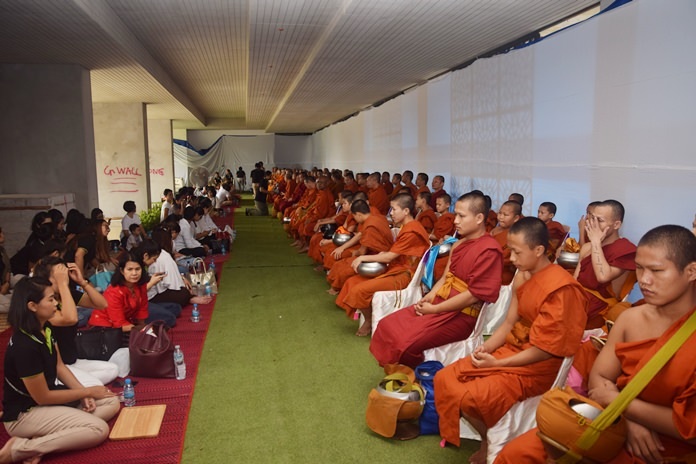 Austin, Winston, Toby and Sukanya Gale sit together as monks chant prayers during the religious ceremony. 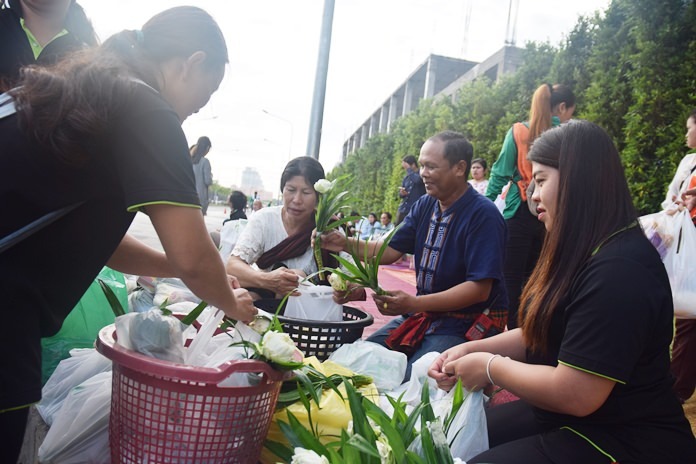 Sethapun Boonsawat poses for a photo with the Gale family. 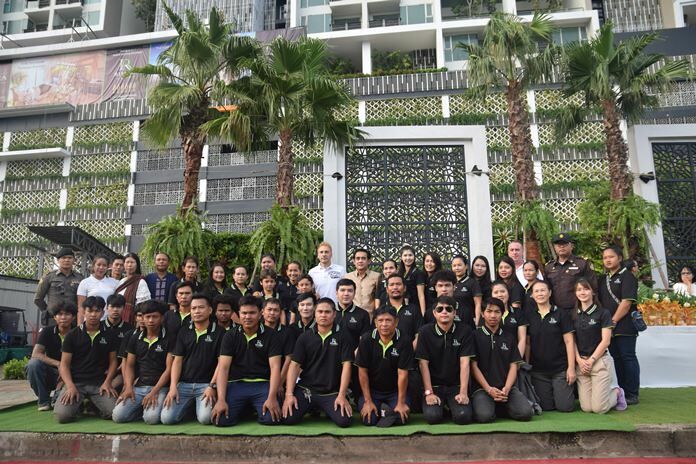 The management and staff of the Riviera Group join in a group photo. 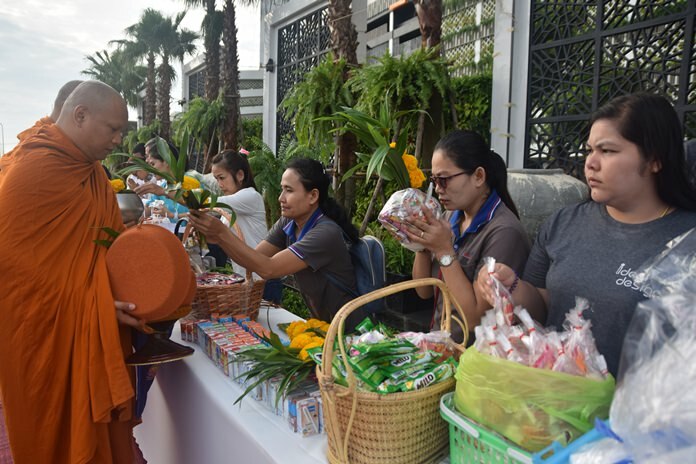 Hundreds of staff and friends attended the merit making activities.